This is a story of a lifetime dream turning into a nightmare. The student loan crisis is not an exaggeration or hyperbole: it is a fact. 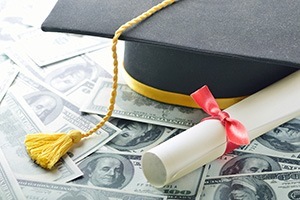 The Wall Street Journal reports the graduating class of 2016 has an average loan debt of $37,172 per student borrower. This is a figure that is greater than the year before, and there is no indication of a decrease. Tuition and fees are rising, and the ability to pay is becoming more difficult. The debt load for many recent graduates is comparable to a house mortgage. That the obligations can determine where a new graduate will apply for a job. Millennials are highly talented and creative people. They’re also highly educated and spent considerable time in school earning their credentials. They face the problem of student debt and how to pay for the education they receive. It is the kind of stress that nobody should have to deal with on entering the workforce. Pressure over payment can distract from projects at hand. While these will be completed on deadline, the quality would be enhanced if the worries were reduced. Countrywide Pre-Paid Legal Services has a solution that organizations can consider. We have a financial wellness plan that includes student loan counseling. We can match a plan member with a Certified Student Loan Counselor. Our nationwide network assures that such a professional will be close at hand, and easy to contact. The counselor is going to be able to sit down with a plan member and discuss the various options for paying the student loans. Working with the counselor, a plan member can discover that there are means of paying off the debts. These different alternatives do not require living a life of enforced frugality. A review of a plan member's current expenses and existing college debt will allow the counselor to come up with a plan of action. The result is that what was once a confusing nightmare is made very sensible. Plan members are encouraged to ask as many questions as necessary. Our counselors provide the empathy and courtesy they need. That human touch is as important as the professional advice. Millennials do not need a lecture; they need help. Any client can expect to have employees treated as adults and service rendered promptly. Countrywide has a commitment to helping a college graduate see the light at the end of any college loan tunnel. The consequence is a college graduate less pressured by outside problems and better able to contribute to corporate goals. Countrywide works with the client. We streamline our administration to enable people to get service correctly and efficiently. An overall financial wellness program from Countrywide includes choice. A client may determine what benefit options will be in the entire package. Any company that has large millennials demographics will probably want to include student loan counseling in the package. The primary reason is the concern for young employees. This is the kind of sensitivity that does not go unnoticed by the employee. Student loan counseling benefits allow a young person to know that his or her employer cares. It shows a level of commitment to the financial well-being of a person that goes beyond wages. The assistance is not forgotten. Helping a person find a way out of the college debt nightmare grows loyalty in the ranks. It is a reason for staying with an employer and producing high-quality results in every project. The commitment shown to an employee over such a highly personal matter makes this individual proud to be a member of the team. We would like to explain a little more about the student loan counseling option in the financial wellness program as a whole. We believe that any organization is going to find benefits of the program that substantially helps employees. We encourage decision-makers to contact us to learn more about what Countrywide can do.